A fundraiser hosted by the Honorary Consul of Spain, La Sociedad Cultural de España and the San Elizario Genealogy and Historical Society. The fundraiser will take place at the Adobe Horseshoe Theatre . Tickets and information at www.adobehorseshoe.com or by telephone at 915-851-0093. 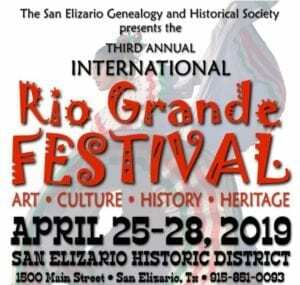 The 3rd Annual Rio Grande Festival is the cornerstone of the Arrival of the Oñate Expedition that arrived in the area in April 1598. The Festival includes a 3-day History Conference, a Reenactment of the Historic arrival of Oñate, including “La Toma” and “La Comedia” that were part of the historic event. 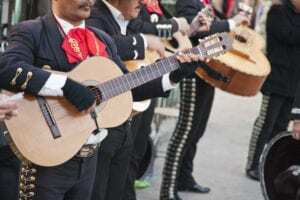 The event will include Historic presentations, Live Music, Arts and Crafts, Food and Beverages, and Cultural Presentations daily. Be part of History! See It! Feel It! Believe It! 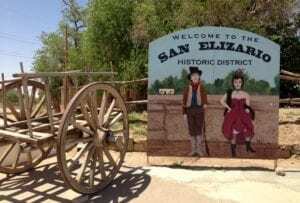 The San Elizario Historic District will present Two Free guided walking tours of the Nationally recognized Historic District on the 4th Sunday of every month. Tour Times are at Noon and 3 PM. Participants are asked to gather at the Main Street Mercantile, 15 minutes prior to the tour. The tour will take approximately one hour and a half. This is a walking tour, at a slow pace. Don’t forget your camera!! 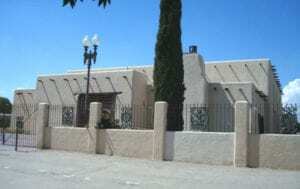 Texas History, starts in San Elizario!